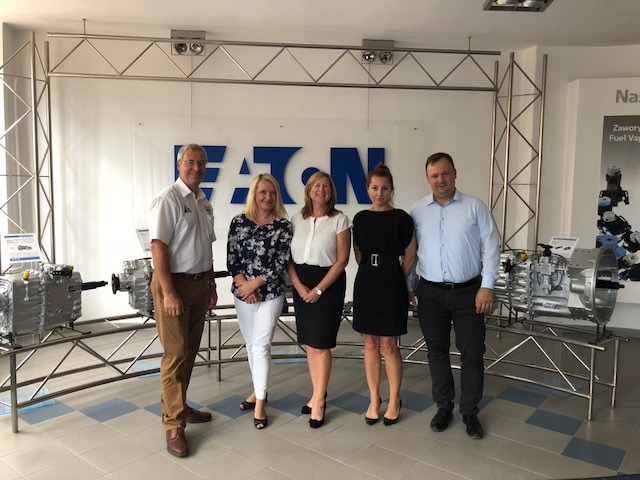 We recently visited Eaton’s main European production facility. A tour of the facility demonstrated the focus on quality throughout every process of component manufacture, transmission manufacture and the new manufacturing line for OEM clutches. Leyland Exports has a long standing relationship with Eaton Transmissions and are able to supply this first class product at a competitive level. As well as holding stocks at our UK warehouse, we receive a weekly delivery. Our staff have excellent product knowledge within our dedicated transmission parts sales team and of course the back up of Eaton is only a call away. Image above – Ian Lowe, Commercial Director, left and Julie Marafioti – Purchasing Manager, centre with Eaton staff.